The wall calendar is posted in a board backed envelope. It is available only whilst stocks last. 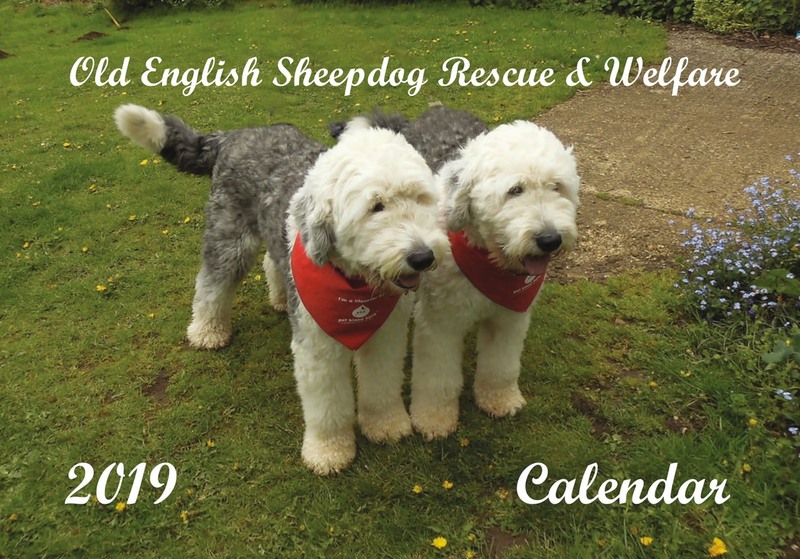 OES Rescue & Welfare have produced this calendar so all the profits go directly to help the rescue dogs. ​Last year our Calendars sold out very quickly so be sure to get yours early. Due to postal costs, the Calendars can only be sent to UK addresses. The Calendars are now sold out ! 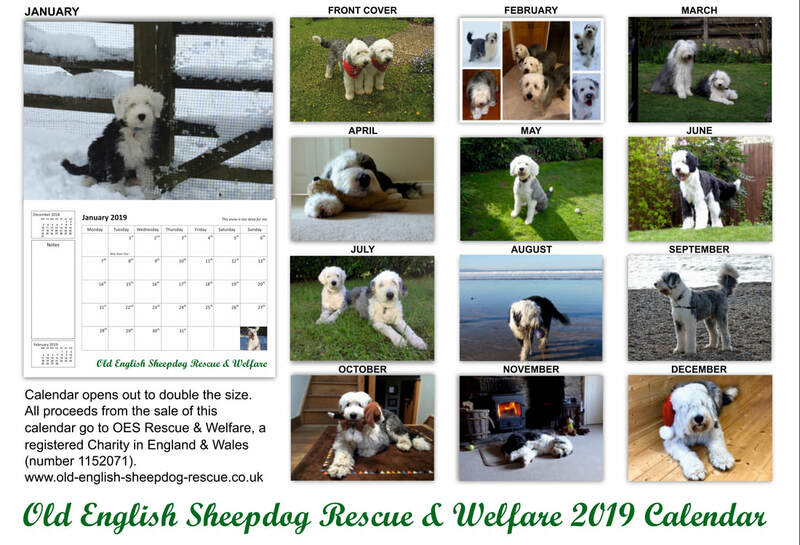 The 2020 Calendars with be available from March 2019. Buy yours early to avoid disappointment. Did you know that you can now add a gift for the rescue dogs here in your shopping cart ? We have three cards to choose from : Card one (below) features rescue dog Cassie busy opening everyone's presents under the tree - which is now on it's side! Some dogs just can't wait for Christmas day! Right, the reverse of the card: "What's under your tree this Christmas ? " 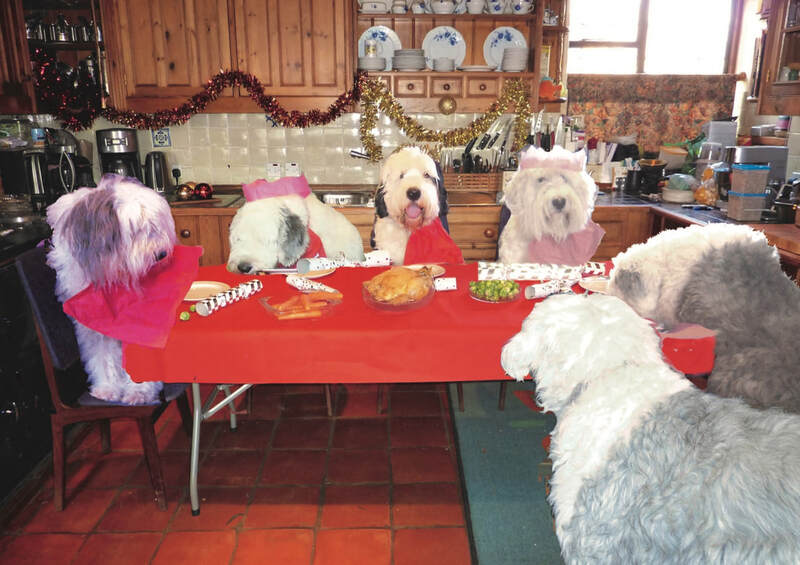 ​The second card (below) has the dogs enjoying a festive feast (left to right : Lottie, Ellie, Charlie, Cassie, Lara (no, she's not drunk!) and old Ruby Tuesday in the foreground. 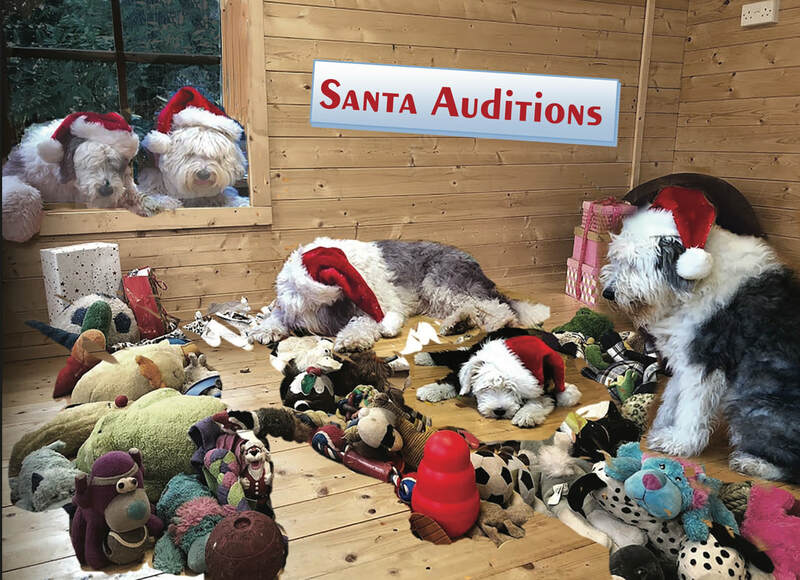 The third Christmas Card (below) features the dogs getting ready for Christmas - at least their version ! ​There were lots of 'out takes' as George (left in the window) quickly worked out he could jump in from outside. ​Did you know that you can now add a gift for the rescue dogs here in your shopping cart ? Blank Greeting Card "Gin and Tonic" time ! These A5 cards make a beautiful Birthday, Anniversary or simply a Hello card. 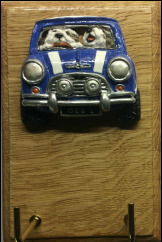 The Mini Cooper's for our lead hangers have been specially commissioned by OES Rescue & Welfare. The detail is superb, right down to the windscreen wipers. The Mini is mounted on a solid oak plaque which has been beautifully hand finished. The reverse side has keyhole slots for hanging directly onto your wall screws. The natural oak grain pattern will vary on each individual plaque. 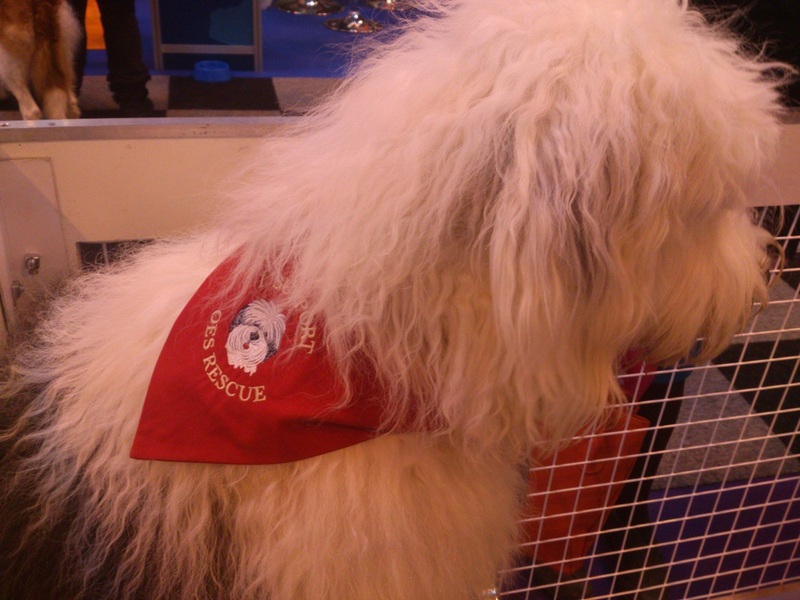 The Mini's are available in red, blue or black and only from OES Rescue & Welfare. The lead hangers are available for £25 plus £4 UK post and packing. The square hooks are packed flat ready to be screwed into pre-drilled holes. ​The OES figurine is mounted on a solid oak plaque which has been beautifully hand finished. The reverse side has keyhole slots for hanging directly onto your wall screws. The 'Rescue Me' Lead Hangers are available for £17.50 plus £4 UK post and packing. Dispatched within 7 days. ​Plaque size approx. : 15cm x 10cm x 1.8cm. The square hooks are packed flat ready to be screwed into pre drilled holes. These lovely embroidered baseball caps are lightweight and adjustable. 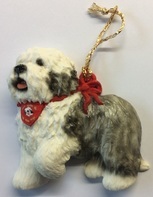 This lovely Helen Dudley OES figurine wearing our rescue bandanna is available as either a hanger (as shown) or a magnet. These are Limited to 100 pieces so won't be available for long ! 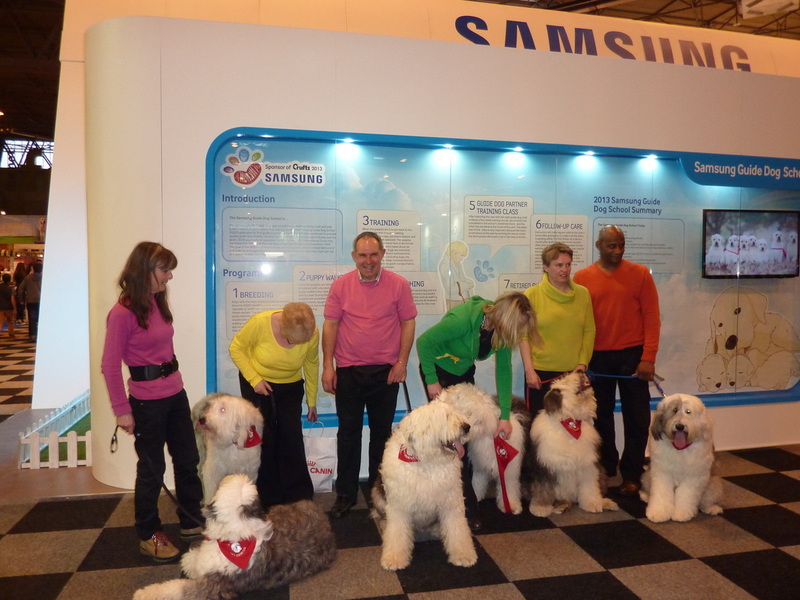 They have been specially commissioned for Old English Sheepdog Rescue and Welfare. £12.50 plus £4 UK post and packing. please choose either hanger or magnet. These lovely embroidered cotton face cloths make lovely gifts or treat yourself to one! 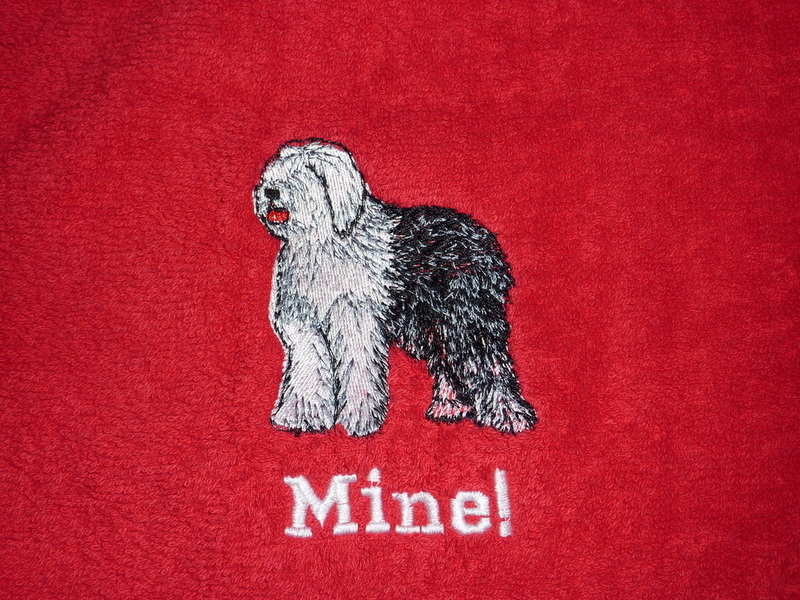 A matching face cloth for your dog. 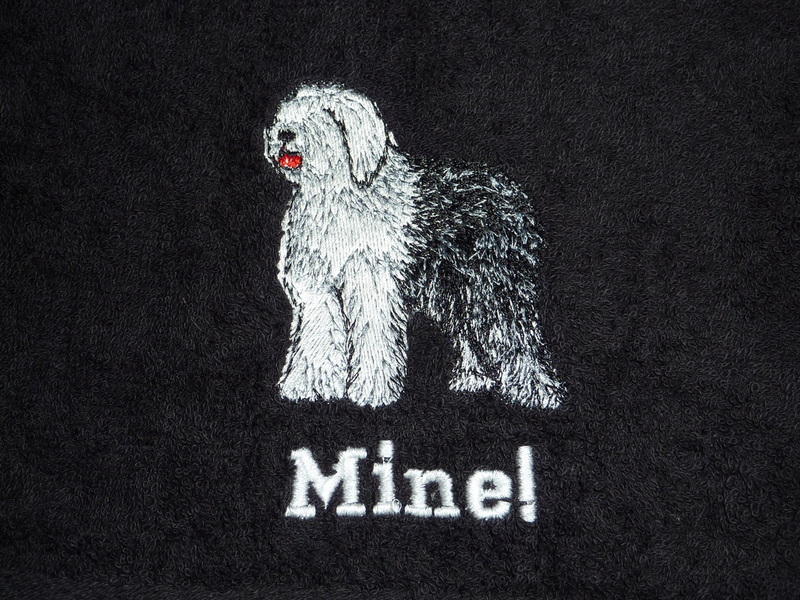 No mistake, which face cloth belongs to your dog! Handy for when you are out and about or on holiday. Black for the boys - or dogs that like to get really dirty! Well made bandana and beautifully embroidered. 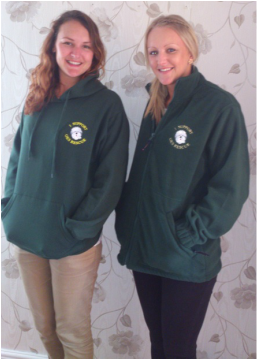 Logo matches the fleece logo's below. "No outfit is complete without dog hair"
Chest (to fit) XS - 34/36", S - 36/38", M - 38/40", L - 40/42", XL - 42/44", XXL - 44/46", 3XL - 46/48", 4XL - 48/50"
Unisex and Childrens Sweatshirts & Hoodies. 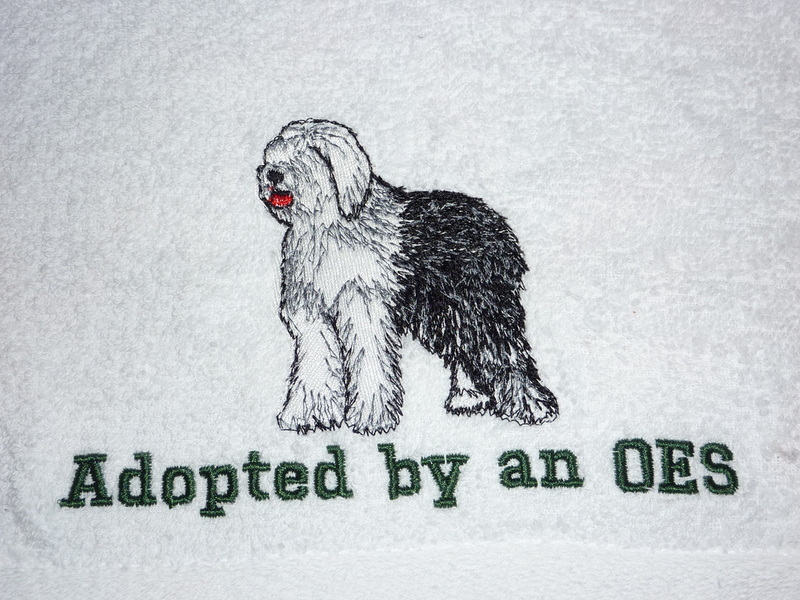 "Old English Sheepdog Rescue & Welfare"
The next generation of an old favourite. 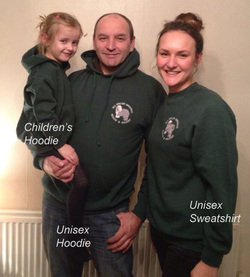 The hoodie has been given a major overhaul in cut, design features and colour palette. Reliable fabric combined with contemporary fit and design features. Straighter cut for contemporary look. Flat, chunky drawcord. Double layer hood with coversemead drawcord channel. Herringbone neck tape. Kangaroo pocket with bartacks. Chest (to fit) XS - 34/36" S - 36/38", M - 38/40", L - 40/42", XL - 42/44", 2XL - 44/46"
Age - Chest (to fit) 3/4 - 22/25", 5/6 - 25/28", 7/8 - 28/30", 9/10 - 30/32", 11/12 - 32/34"
Classic sweatshirt: Twin needle coverseams on neck, raglan sleeve, cuffs and waistband for extra durability. Herringbone back neck tape. Spotshield™ stain resistant coating for fabric protection. fade resistant. Chest (to fit) XS - 34/36", S - 36/38", M - 38/40", L - 40/42", XL - 42/44", 2XL - 44/46", 3XL - 46/48", 4XL - 48/50". Sizes XS, S, L in stock other sizes please order by email. The chest sizes are to fit body size and are not the actual size of the garment; the garment will be larger than chest size to allow the wearer to fit into the garment comfortably. The garment measurement will vary of between 2" / 5cm to 4" / 10cm depending on the garment style and fit.